Who builds the mountain bike trails you ride on your holiday in Morzine? Morzine has suffered in years past due to there not being the right people to encourage real investment in mountain biking. This is all changing however. Christophe Mugnier, the man responsible for bringing the World cup to Meribel in 2014, has just been employed as Morzine Tourist Office’s head of mountain biking, taking over from 15 years of effectively treading water, he has big plans to catapult Morzine back to the top of the scene, with events, trails and marketing. Serma, on the Super Morzine side, took the initiative afew years ago with the construction of an ever growing number of bike park runs with flowing berms and well built jumps, one of the most friendly places for all levels of mountain bikers to ride. This is set to continue with the opening of new lifts and trails for the 2017 season. 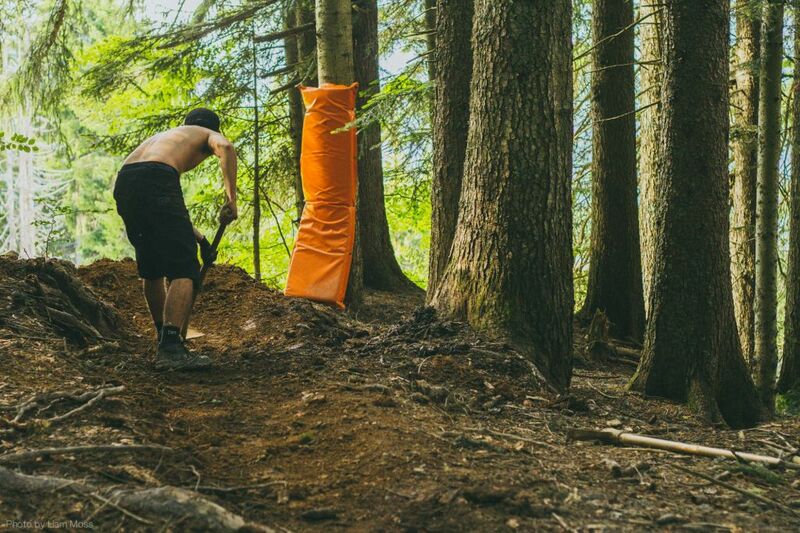 One thing we hear often is that there are little changes in Morzine’s trail network. Why is this? Did you know that Super Morzine and the Pleney are two separate lift companies? You see, resorts like Silver Star or Whistler are companies, who own the town and the lift system. Where as Morzine is a little French village, who, through land owners, lease the use of lift access to companies such as Serma, who operate, build and maintain the Lindarets and Super Morzine zones. This is the same for most towns in the Portes du Soleil, councils and lift companies working together to attract mountain bikers and tourists to their town. Santa Cruz have recently moved into town, bringing with them new impetus, drive and resources to improve the Pleney trail network. Starting with sponsoring the Pleney lift company, working on liasons with the local land owners and investing in building new trails. This year we saw the Pleney mainline re-worked, and in a much better state of repair throughout the whole summer. Plans for new tracks in 2017 are well underway. Several cycles of local trail builders and mountain bikers have been putting effort in over the years, campaigning with both shovels and meetings, to get new runs constructed, to improve maintenance. 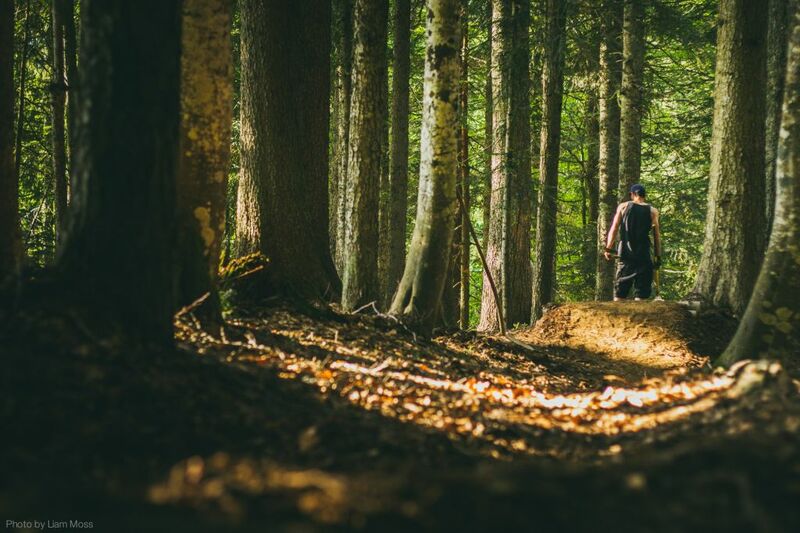 Until a year or two ago, it was only to the good of increasing Morzine’s network of unofficial trails, many of which have caused disruption amongst the local community. But now they have been joined by an engaged tourist office, a global bike brand passionate about trail building, there is hope for some exciting new developments in the future. However, all of this is being built on a layers of trust and belief that there can be a real positive change in Morzine’s summer reputation. You are a very big part of that, after all, it’s being built for you! - Not riding in illegal woodland, or where you see the no bikes sign (a red circle with a bike in the middle). - Respecting other mountain users, including fellow mountain bikers of other abilities. (there is a tiny group of locals to maintain these, they stay in much better condition if ridden only in the dry). - Engage with the locals working on the trails and the lifts, say thanks and give feedback where you feel you have something constructive to add. - Have a blast and share your experience with everyone!